According to the newspaper The Independent, on average each person consumes 8kg of chocolate per year. They say that the most popular kind of chocolate is milk, followed by dark, then white chocolate. But now there is a new type of chocolate called ruby chocolate. Ruby chocolate was created by Barry Callebaut, the world’s largest cocoa processor. It is claimed to be the first new natural colour for chocolate since Nestlé unveiled white chocolate more than 80 years ago. 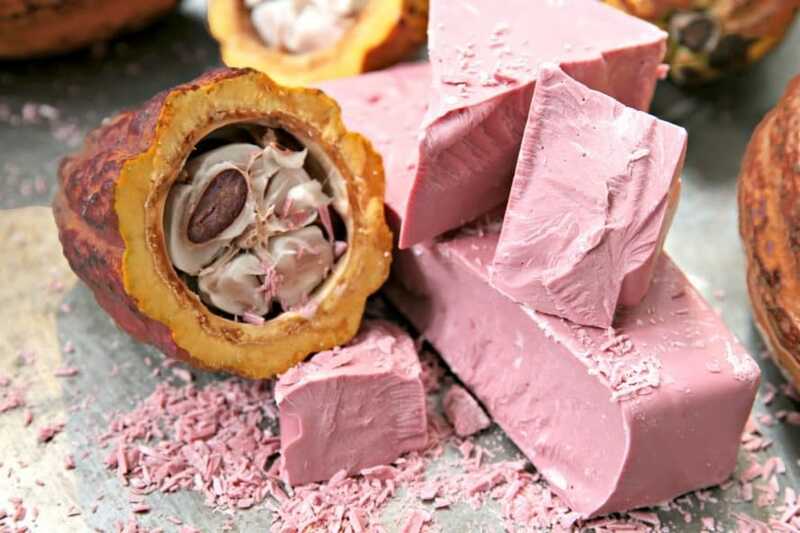 Recognized around the world as the food trend for 2019 by research agencies, media and food experts, ruby chocolate is made from the red cocoa bean. Callebaut clarifies that no flavourings or colours were added to the chocolate to give it its pink hue, it’s simply its natural colour. The flavour of ruby chocolate is described by Callebaut as “not bitter, milky or sweet, but a tension between berry fruitiness and luscious smoothness”. In other words, ruby chocolate should have the well-known taste of cocoa with a hint of freshness and fruitiness to it. 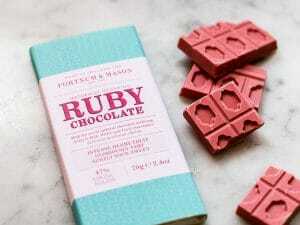 Ruby chocolate launched in the United Kingdom at London department store Fortnum & Mason in 2017. The launch was so successful that they sold out of the chocolate bar within the first few days. 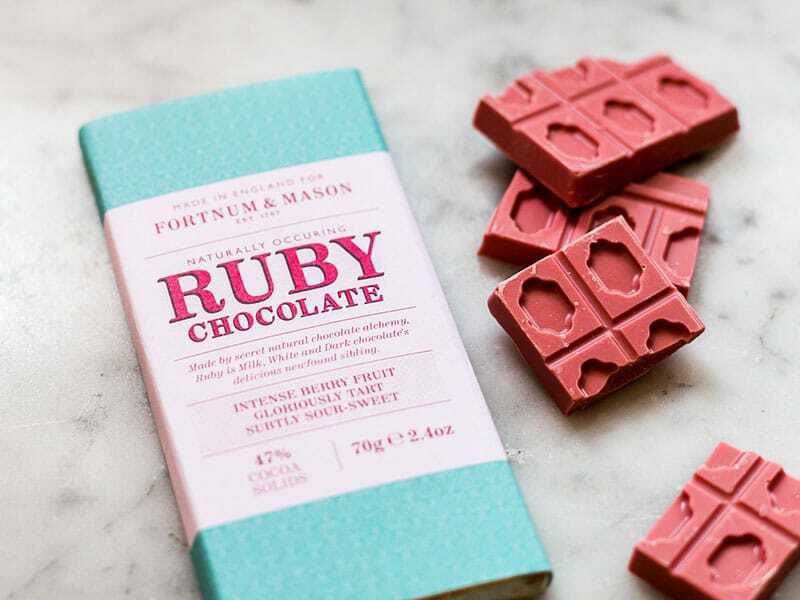 As of 2018 you no longer need to visit Fortnum & Mason to get your hands-on ruby chocolate as it is now readily available in most supermarkets. The pink-hued chocolate can also be found in a selection of delicious desserts from cupcakes to ice cream. 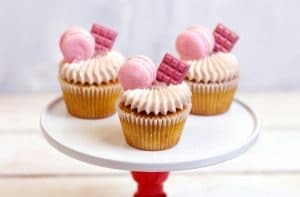 Bakery Flavourtown (London) recently added a limited-edition ruby chocolate cupcake to their menu. The cupcake featured a chocolate sponge topped with ruby chocolate frosting. The cake was so successful that it is now a permanent part of their menu. 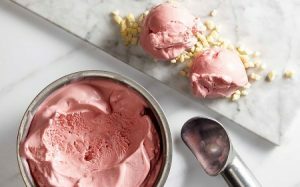 The ice cream parlour at Fortnum & Mason also recently added a ruby chocolate dessert to their menu in one of their ice cream sundaes. The ruby chocolate sundae, which features on their permanent menu, contains the following: strawberry and ruby chocolate ice cream, fresh raspberries, dried strawberries, meringue, chantilly cream and raspberry coulis. If you are looking to introduce a range of desserts that feature ruby chocolate, then it is extremely important that you have the right food packaging for the dish you are serving. 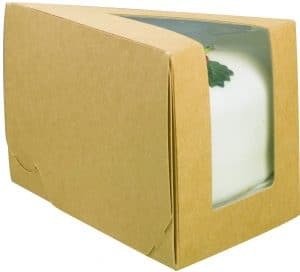 Whether you are serving ruby chocolate flavoured ice cream or a slice of ruby chocolate cake, at Bunzl Catering Supplies we have a wide variety of packaging options to suit your needs. For serving ruby chocolate flavoured ice cream we recommend using the Eatwell paper food containers from our supplier Huhtamaki. 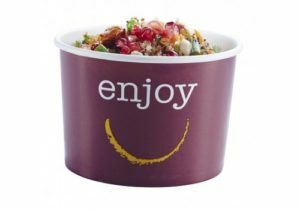 The perfect choice for serving coolf food like ice cream on-the-go, the Eatwell range is available in plain white, the popular and colourful ‘Enjoy’ range or bespoke printed with your own branding. Eatwell containers come as combi-packs (containers and lids in one case) in 7 sizes – from 7oz to 24oz. If serving baked goods containing ruby chocolate, such as cake, cupcakes and muffins, we recommend serving them in the kraft bakery packaging range from our supplier Colpac. The range includes a small cake box, a large piece cake box and a carry out muffin box. For more information on our range of disposables and food packaging that are suitable for serving ruby chocolate flavoured desserts, please contact Bunzl Catering Supplies today.